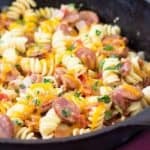 I absolutely LOVE one pot or one skillet recipes, especially during hectic times like the holidays right now. 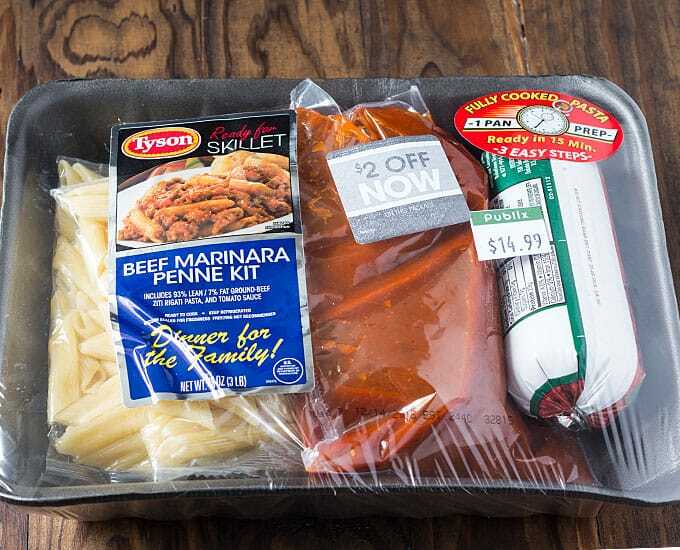 I know you’re probably all about putting a good meal on the table with minimal cleanup, too so I’m sharing this easy One Skillet Beef Marinara I prepared in 15 minutes with the help of a Tyson® Meal Kit. This post is sponsored by Tyson®. All opinions are 100% my own! Seriously… just look at that! 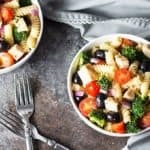 Would you ever think that came from a meal kit?! I wouldn’t have it on my blog if it wasn’t good, and I’m here to tell you it was delicious. 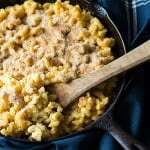 I ate it for lunch after I photographed it, then had a friend come over for dinner and he said he couldn’t believe it came from a meal kit. 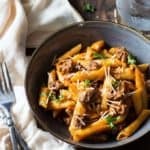 I just added a little shredded Parmesan cheese and fresh chopped parsley. It also re-heats well for leftovers. That works out great for me today because as I write this blog post, my dog Baby is in surgery to have a few growths removed. I’m so worried about her and don’t want to spend a lot of time cooking this evening. I want to have the time to take the best care possible of her when she gets home. 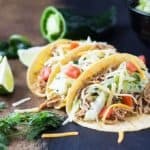 Here is your simple meal kit. Everything’s ready to go! Just brown the ground beef and drain. 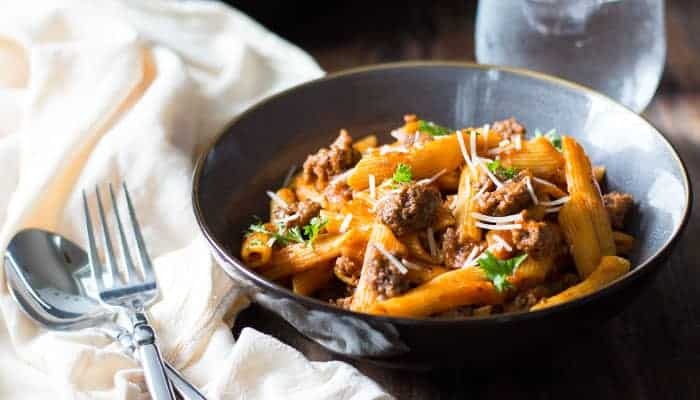 Add the marinara sauce and ready-made pasta to the drained ground beef, heat thoroughly in the skillet and you’re D-O-N-E! 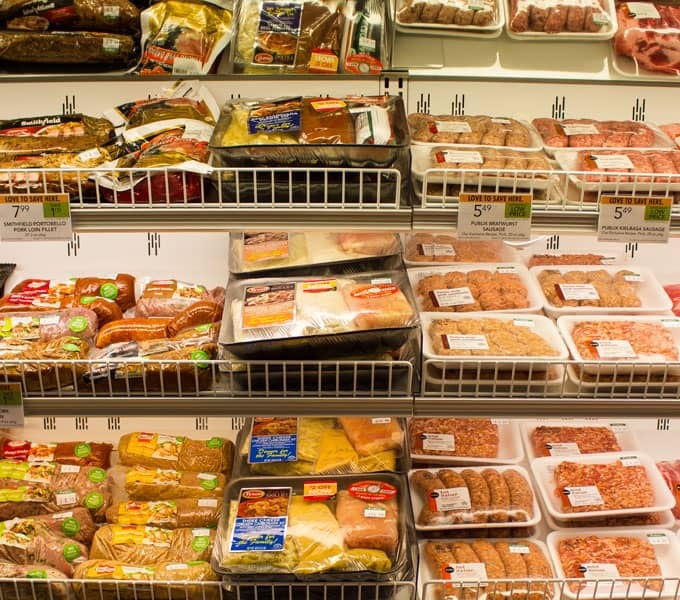 I purchased my meal kit in the “Ready to Cook” section of the fresh meat section at Publix. There was also an instant redeemable coupon on the package that is active through 2/1/16. 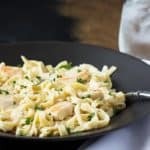 The other meal kits available are: Beef and Cheddar Melt, Chicken Fettuccine Alfredo and 3 Cheese Chicken Carbonara. Since I’m having this again tonight for dinner, I’m also adding a small can of diced tomatoes and mushrooms to stretch it even further. I’ll keep you guys posted on Baby, and have a great Christmas and holiday season! 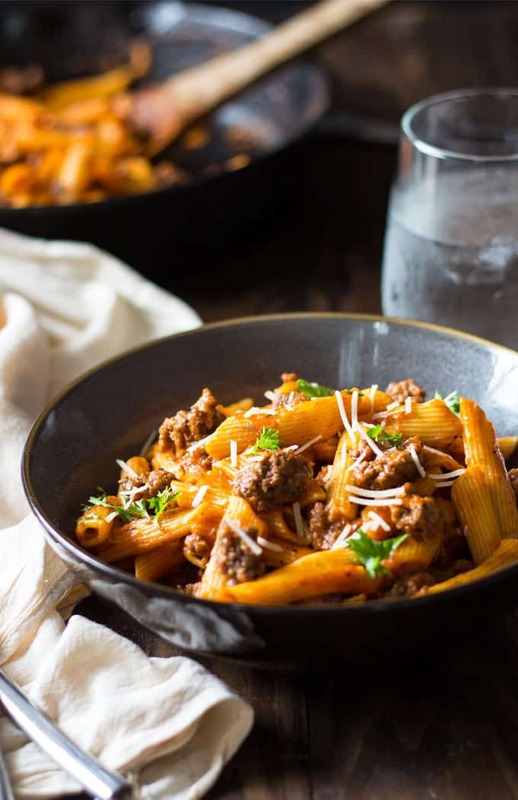 This One Skillet Beef Marinara with Penne Pasta comes together in 15 minutes with the help of Tyson Meal Kits! Preheat a skillet on your stove top over medium heat. 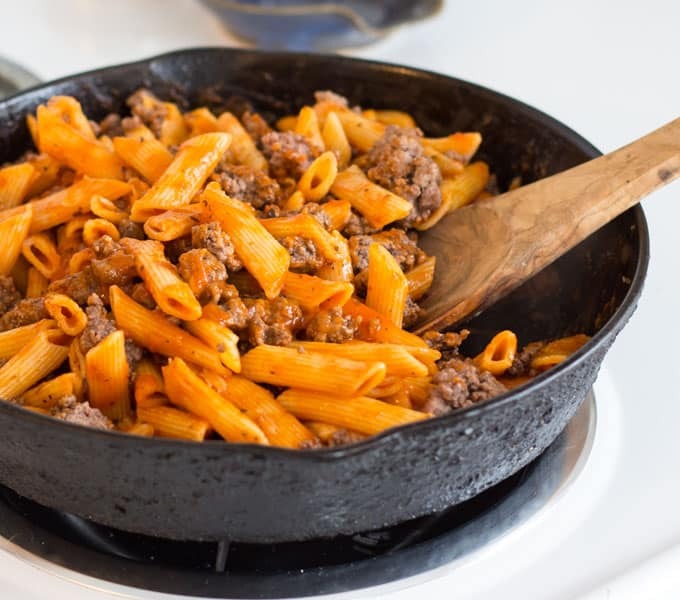 Remove ground beef from package and place in skillet. 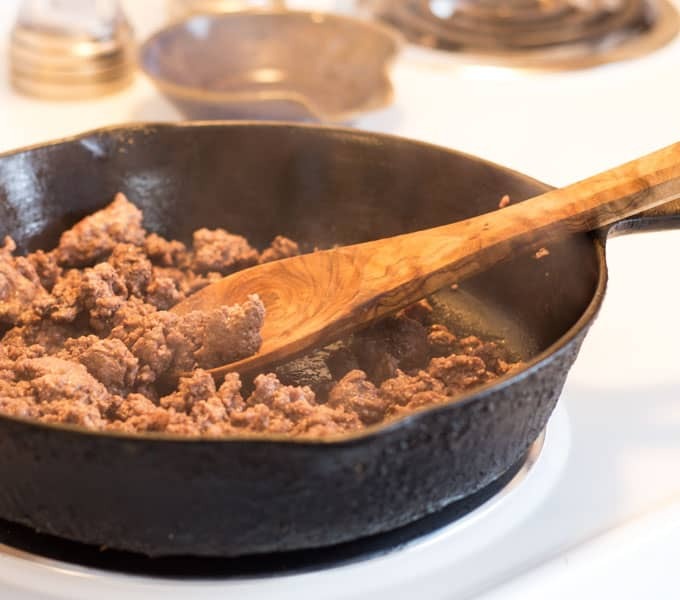 Brown ground beef thoroughly in skillet. 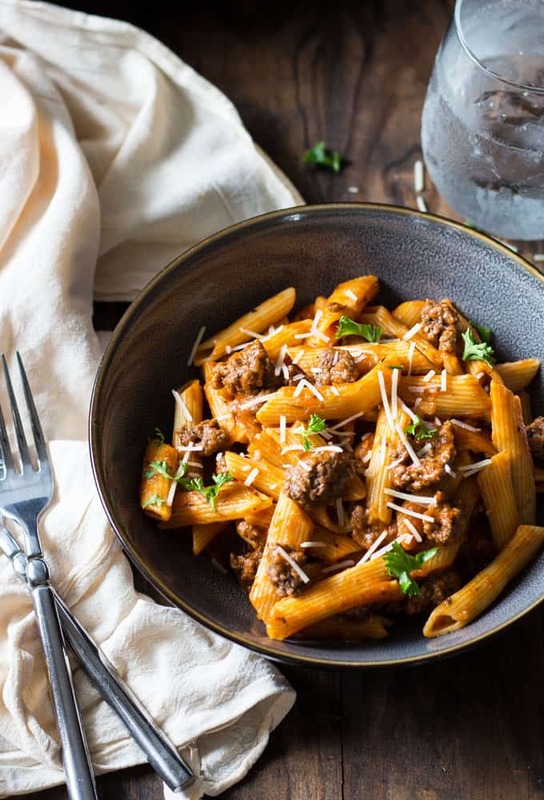 Use a cooking utensil to chop the ground beef into crumbles. Drain when done. 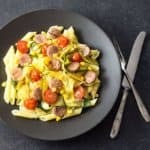 Open the pasta pouch and add the pasta to the skillet. Heat the pasta, stirring frequently. Open the sauce pouch and add the sauce to the skillet. Stir to combine. Continue to stir until the sauce is hot. Remove and serve with shredded Parmesan cheese and fresh chopped parsley, if desired.